Sebastiaan "Bas" Rutten is a retired Dutch mixed martial artist (MMA) and kickboxer. He was the UFC Heavyweight Champion, and a three time King of Pancrase world champion. After his career as a fighter he has worked as a 'color commentator' in several MMA organizations, and has appeared in numerous television shows, movies, and video games. How did he become a martial art champ? You write the most interesting articles and this one grabbed me. My son is a martial artist and trains in MMA (he's very familiar with Bas Rutten). I wish to learn about digit ratio that you mentioned. What exactly does it tell and is there a book available on this subject? There's so much to learn in palmistry and I love it. Thanks! How interesting that you wrote an article on Martial Artist. Last year, as part of an experiment and curiosity, I joint a dojo of Japanese martial art "Aikido". I have very well developed Active Mars and Jupiter, so I wanted to know if these qualities would be enough to succeeding in martial arts. What I found actually fascinated the most. Majority of recognized Martial Artist in my dojo have Griddle of Venus and very sensitive palm lines. Looking at Bas Rutten's hand I also noticed that his lines are more Fire or Air type and not Earth type. He has comparably thin slightly knotted fingers with strong squarish palm. From one side I can say that he has an enormous amount of energy, and Martial Arts is one of the ways to let it out. Thank you for your enjoyable comment. Yes, I think martial art can directly be related to the mars-negative mount (mars active). But jupiter is probably not directly involved: actually, I think that the index finger is probably the most feminine finger of all five digits! You should try to understand this in the perspective of the 'digit ratio': a low ratio requires the index finger to be relatively small, etc. Regarding the quality of Bas Rutten's hand lines: yes, I agree that he probably has fire-like characteristics. But his primary lines are obviously very strong and visible - which can probably best be described is a typical 'earth' characteristic (certainly not air-like). But maybe Lynn can share her thoughts about the quality of his lines (I am not much familiar with the elemental type of hand reading). His lines appear to be fire quality by width. Lynn wrote: His lines appear to be fire quality by width. Thank you for your supportive words! I think Manning's books & studies are fascinating, but I have noticed that quite some people get discouraged for multiple reasons, including: the complexity of both the topic & the measurements, plus the fact that even after knowing your 'digit ratio' it is not easy to draw any specified conclusions from that (especially when people have an average ratio, or a asymmetry difference between both hands, etc). Roberta, I hope this answer will become useful for you... anyhow! You are a sweetie to provide such a wealth of information regarding digit ratio. I'll read all the articles as time permits and also see if Manning's books are available (used) on Amazon..
To be honest with you, I thought so too, but after spending 1 year of active practice in Martial Arts, I realized that Jupiter does plays some role. One of the reasons is that Martial Arts, and Japanese in particular are all about leadership. The main idea is to lead an opponent in the direction you need him to go in order to protect yourself. Another interesting aspects is that ideal way of fight is without use of any physical strength. Self esteem, honor and integrity are very common in any Martial Art, so it is not surprising to see longer Jupiter finger on Martial Artist. I am looking forward to see more details on your 'scoop'!!! I can imagine that the pointer finger is involved as a second factor... added to mars-negative. And the overdeveloped pointer finger could here also make sense in the perspective of a relatively short middle finger (one could then even wonder... is the pointer finger really that long...???). And I assume your report doesn't implicate that you observed that in martial arts the pointer finger is even longer (and/or stronger) than the ring finger - for I think so far you only mentioned an observation regarding the pointer finger (but in not in perspective with the ring finger). 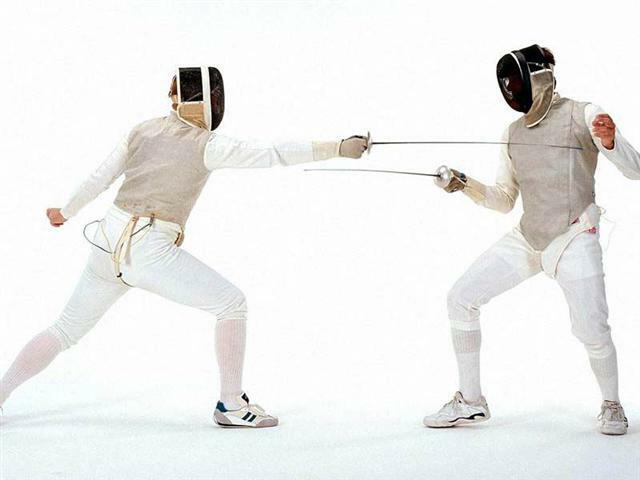 Various studies have pointed out that success in fencing (which concerns another martial art) correlates with a low '2D:4D digit ratio'. ... Well Roberta, I'll take that as a compliment - thank you! To be honest with you I did not pay any attention to Digit Ratio in my observations. You have a good point, and I will start to study it in more detail. Thank you for your posts and directions.